Linux is a Unix-like computer operating system developed and used under the model of free and open source software development and distribution. Linux systems are actively used in smartphones and server hardware. Lately, more and more home PC users prefer Linux to MS Windows series. 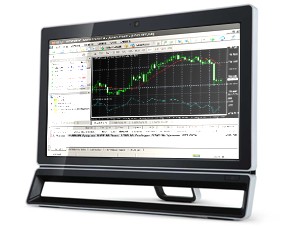 Below you can find the article, how to work in MetaTrader5 via one of the Linux versions - Ubuntu. One of the Linux features is the absence of a unified setup kit. Different groups of programmers work on several different Linux versions such as Debian, Mint, Ubuntu, OpenSUSE, Gentoo, etc. This article will describe one of the most popular distribution kits - Ubuntu. Wine is a free program that allows users to run an application developed for the Microsoft Windows systems. 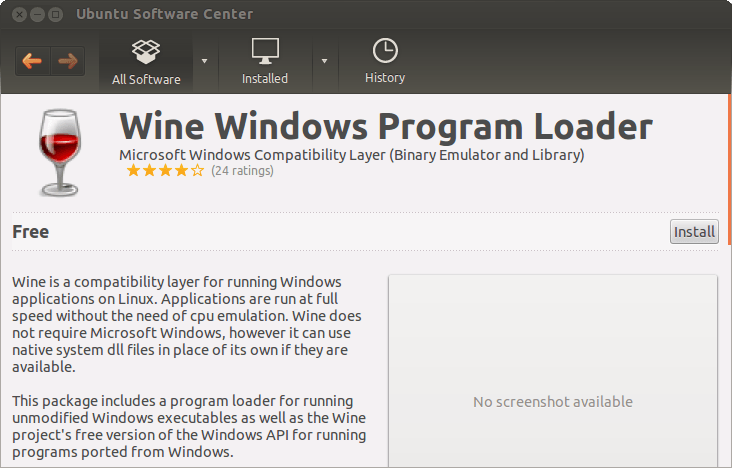 Among all the Wine versions, there is one for Ubuntu. We should note that Wine is not a fully stable application. It means that some functions in the applications you run under it may work improperly. Preliminary setup should be performed before the installation. All applications are installed on Ubuntu from the packages, which are contained in repositories. 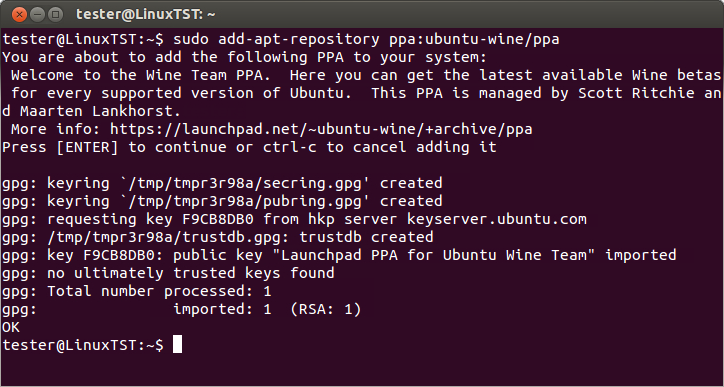 To install Wine, the path to WineHQ PPA repository must be added. Open Ubuntu Software Center and run "Software Sources" command in "Edit" menu. Click "Add" in the new window. The following parameter should be specified in АРТ (Advanced Package Tool) line: ppa:ubuntu-wine/ppa. Click "Add Source". This finishes the preliminary setup. Click "Install" and wait for the installation to complete. Once the installation is complete, it will already be possible to run Microsoft Windows executable files in Ubuntu. Wine v. 1.5 will be installed. Upon the execution, Wine is ready for use. To use MetaTrader5, you should either download and install the installation file or copy the entire folder of the client terminal previously installed in Windows system. To download the installation file, use the direct link mt5setup.exe. The system will automatically determine that you are trying to run a file designed for Windows system and will offer to open it using Wine. Select this option and click "OK". MetaTrader5 installer will be launched. Complete all installation steps. 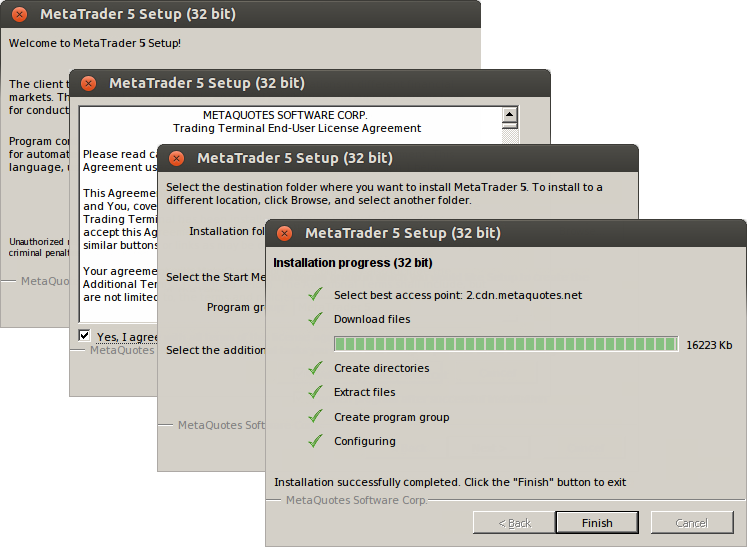 MetaTrader5 installer will be launched. Complete all installation steps. After installation is complete, you can start using MetaTrader5 by running the terminal.exe file. Another way to use MetaTrader5 in Ubuntu is copying the entire folder of the trading terminal previously installed in Windows system. After copying the folder, start MetaTrader5 terminal by running terminal.exe file. 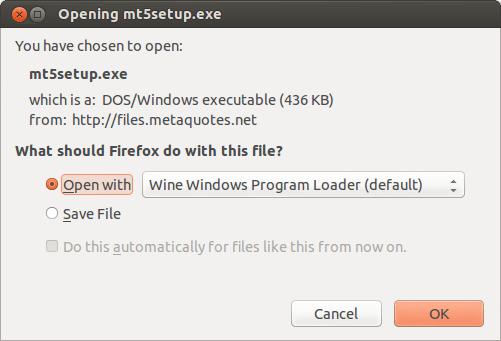 Wine will be used automatically to open the file. 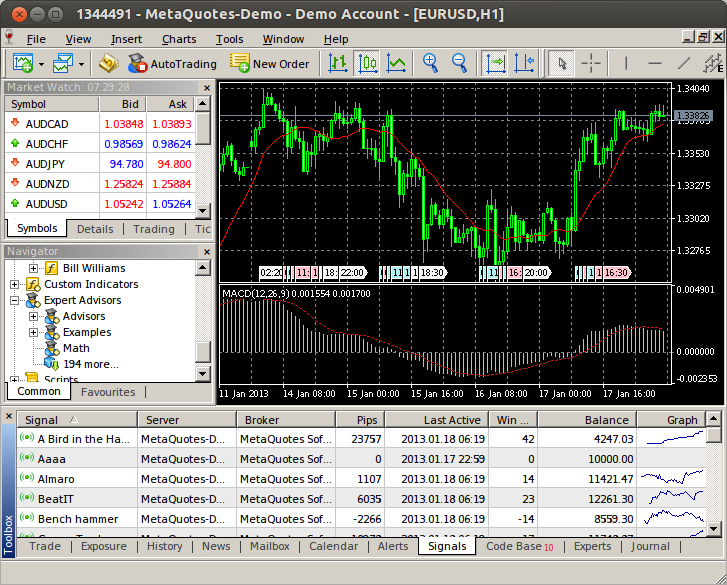 The picture below shows MetaTrader5 terminal in Ubuntu system.